Wrinkle Removal, Skin Tightening, Face Lifting. 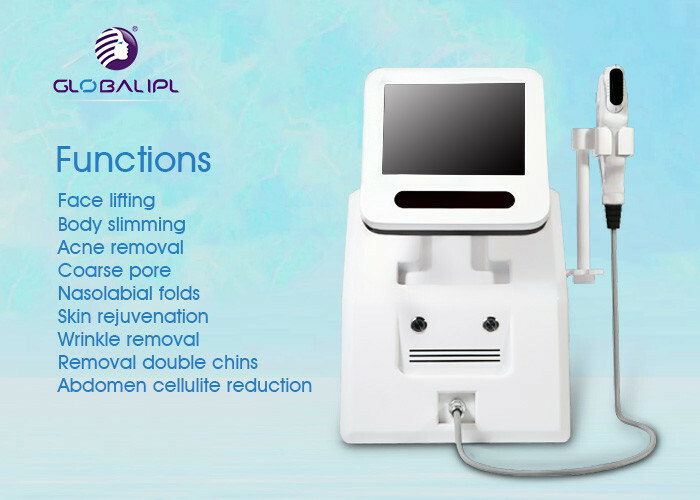 - Adjustable HIFU Spacing for Precisely targeting every inch of the treated skin. - Adjustable HIFU Length for covering different treated areas Willingly. - Adjustable HIFU Energy for different skin type/area with different sensitivity. - Be able to save HIFU setting for the same customer or similar skin situation. - Triple layer lifting effect system: 4.5mm SMAS layer, 3.0mm Deep dermis layser, 1.5mm Superficial layer. - Quick & short treatment time : 30-60 minutes for one face treatment. - SMAS contraction : 4.5mm transducre for collagen remodeling , elastine fiber contraction. - No downtime : skin just become red within the first several hours , then skin recover . - Optimum result will be checked from the second month to the nine month.